Photo Diary: Glassons - May x Girl-Gang Jackets. There’s no denying that we are all about celebrating women, and celebrating girl-gang friendships. So for this month, we thought what better way to celebrate than with some custom jackets to celebrate you and your friends. Step #1. 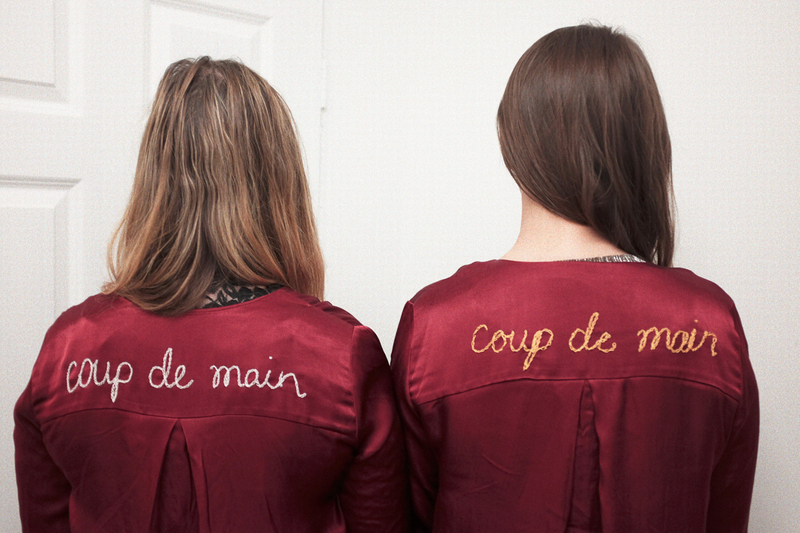 Find yourself a jacket that you want to customise! If you’re starting out it might be easiest to customise denim - as the fabric itself is thicker and a bit more forgiving for a beginner. Step #2. Draw your design onto the jacket, using a water soluble marker. This means that any marks you make will come out once you wash the jacket. Step #4. Keep stitching until you’re finished. It can be a bit of a time-consuming process, but once you’ve completed your jacket, make sure there are no loose threads, and fully wash and dry it - this will get rid of any soluble marker that you used in the design process.